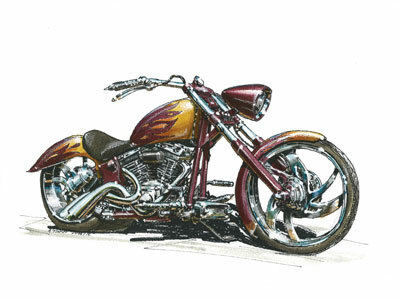 Tinker-Art is a website dedicated to the fun and enjoyment we get from our automobiles, motorcycles, planes, trains, pretty much anything with an engine or a wheel. We have a wide and growing selection of illustrations for sale as print on canvas or paper. Artist Allen Tinker, continues to explore and express the variety of personality that each model of transportation has to offer. The goal is fun at and for all ages, individuals, entheusist, hobbiest, club, or community. On this site you can see and purchase a canvas print, limited to an edition of 100, or a paper print. We have also teamed with Cafe Press to offer a variety of other products such as t-shirts. If you have any question or comments click Contact at the top of the page. Otherwise, please choose from any category at the left and enjoy the art.